Inside, your body's on fire. You just don't know it?and won't until your gains vanish, or disease strikes. Use diet to douse the flames! These 10 foods are quite potent in reducing inflammation in the body, while reducing pain thereby expediting recovery. It is the synergistic qualities of these foods that make them so healthy since they are nature-made and have a naturally high antioxidant status along with some quite fascinating natural substances that have a powerful anti-inflammatory and pain-relieving effect (Liu, 2003, 2004). These 10 foods will be in no particular order. Aside from being a great source of Vitamin C, it is also rich in the protein-digesting enzyme bromelain, making pineapple a natural anti-inflammatory agent that is quite helpful in reducing swelling, bruising and pain in musculoskeletal injuries, as well as arthritis, bursitis and tendonitis (DiNubile, 2005; Fitzhugh et al. 2008; Mozian, 2000; Walker et al., 2002). In fact, one study showed that in otherwise healthy adults with mild knee pain, bromelain can reduce knee pain, thereby improving well-being (Walker et al., 2002). Pineapple can be eaten fresh, canned or frozen, all varieties will provide the great anti-inflammatory and pain-reduction benefits. However, be wary of the canned versions as they typically have added sugar in the liquid holding the pineapple. This can be easily remedied by rinsing the pineapple off as you use it. Preferably, tart or montmorency cherries, as these have been shown to have significant pain-reduction, recovery-boosting and anti-inflammatory effects (Jones et al., 2009; Kuehl et al., 2009). The benefits are believed to come from the anthocyanin content in the cherries (Jones et al., 2009; Kuehl et al., 2009). Cherries are among the few known food sources to contain the potent anti-cancer phytochemical perillyl alcohol (Mozian, 2000). Cherries also contain quercetin, a potent bioflavonoid that has antioxidant properties. "An apple a day, keeps the doctor away." This classic adage has been around for quite some time and for good reason. Research has shown apples are rich in phytochemicals, in particular, flavonoids such as quercetin, catechin, phloridzin and chlorogenic acid (Boyer & Liu, 2004). Some of these antioxidants, in particular, quercetin, has recently been the subject of discussion as it pertains to immune system recovery and endurance performance (Davis et al., 2010; Gordon et al., 2009). In particular, quercetin has been shown to aid in recovery from workouts (Gordon et al., 2009) as well as improve exercise performance (Davis et al, 2010). Additionally, apples have the second highest level of antioxidants among all fruits, with the peels having a stronger antioxidant activity than the flesh (Jedrychowski & Maugeri, 2009; Jedrychowski et al., 2010). Pectin, a soluble fiber found in the apple peel, has been shown to lower cholesterol and inhibit cancer cell growth (Aprikian et al., 2003; Wolfe et al., 2003). In terms of reducing pain and inflammation, apples have been shown to reduce inflammation through their polyphenol content (Jung et al., 2009). In fact, a recent study has even shown that apple polyphenols may have a protective effect on exercise-induced muscle damage (Nakazato et al., 2010). Thus, apples can play a role in reducing muscle damage, thereby preventing the immune system from being overtaxed, which would reduce pain, swelling and expedite post-exercise recovery. However, a lesser known quality of apples is that they are also rich in boron, an important trace element nutrient that has been shown to have various beneficial effects, ranging from enhanced bone health (via enhanced calcium utilization by way of preventing calcium loss), increased concentration of plasma steroid hormones (i.e. testosterone), enhanced brain function, immune response and last but not least, reduction of aches, pain and reduced risk of arthritis (Naghii & Samman, 1993; Naghii, 1999; Newnham, 1994; Nielsen, 1998 and 2008). Dubbed by Christopher Columbus as the "fruit of the angels," Papaya is rich in many vitamins and minerals, but it's main pain-reducing ingredient is the proteolytic enzyme, papain (Klein & Kullich, 1999; Rakhimov, 2001). Research has shown that proteolytic enzymes like papain can be just as effective as many common non-steroidal anti-inflammatory drugs (NSAIDS) (Klein & Kullich, 1999; Rakhimov, 2001). Furthermore, papaya contains several antioxidants that exhibit anti-microbial (Osato et al., 1993), cancer preventative (Cassileth, 2010), antihypertension and antihyperglycemia effects (Pinto et al., 2009). It is also interesting to note that papaya also contains lycopene, a well-known carotenoid that has strong antioxidant properties (Cassileth, 2010). Papaya also contains beta-carotene and ascorbic acid along with being useful in improving digestion (Mozian, 2000). Almonds are rich in Vitamin E and they also contain high amounts of unsaturated fats that reduce inflammation and assist in keeping joints lubricated (DiNubile, 2005). In addition, they are a great source of the omega-3 fatty acids, including alpha-linoleic acid (DiNubile, 2005). Recent research has shown that nuts such as almonds can lower cholesterol, increase LDL resistance to oxidation, improve endothelial function, decrease plasma concentration of C-Reactive protein, Interleukin-6 and other inflammatory markers (Rajaram et al., 2010; Ros & Mataix, 2006; Salas-Salvado et al., 2008). Almonds come in many forms such as whole almonds, slivered almonds, almond milk, almond slices, almond butter, etc. Walnuts are the richest source of omega-3 fatty acids among nuts. They are also thought to inhibit the production of neurotransmitters such as substance P and bradykinins, which increase pain and inflammation (DiNubile, 2005). Walnuts have been shown to also exhibit favorable vasoreactivity changes and are thought to do so through their high levels of L-arginine (the precursor of nitric oxide), alpha-linolenic acid and phenolic antioxidants (Ros, 2009). Other research has discovered that ellagic acid, one of walnuts major polyphenolic components, has high anti-atherogenic potential and remarkable osteoblastic activity (Anderson et al., 2001; Papoutsi et al., 2008). These findings implicate the beneficial effects of a walnut-enriched diet on cardioprotection and bone loss (Papoutsi et al., 2008). Ginger is a great spice that has been used traditionally in culinary cooking. However, more research is showing how beneficial this spice can be in regards to reducing inflammation and expediting muscle recovery. Studies have shown that ginger not only has hypoalgesic effects in osteoarthritis patients, but it also can reduce muscle pain associated with post-exercise soreness (Black et al., 2009; Herring et al., 2009). Due to these strong anti-inflammatory effects, ginger has been clinically shown to reduce knee pain in osteoarthritic patients (Altman & Marcussen, 2001). The main anti-inflammatory effects of ginger come from its ability to inhibit prostaglandin biosynthesis, a discovery that was made in the 1970's (Grzanna et al., 2005). This discovery has allowed ginger to be viewed as an herbal medicinal product that shares pharmacological properties with non-steroidal anti-inflammatory drugs, minus the side-effects (Grzanna et al., 2005). Ginger has even been shown to reduce discomfort associated with seasickness and morning sickness (Ernst & Pittler, 2000), have cardiovascular benefits (Kim et al., 2005), anti-tumor promoting activities (Surh et al., 1999; Surh, 2002) and cancer preventive properties (Shukla & Singh, 2007). A lot of these benefits are based upon the many phytochemicals ginger contains, mainly the phytochemicals gingerol, shogaol, and zingerone. Each of these phytochemicals contain antioxidant and anti-inflammatory properties (Mozian, 2000). In fact, it is gingerol that gives ginger it's unique and distinct pungent aroma (Kim et al., 2005). The phytochemicals gingerol and shogoal also act as antitussives in that they are useful for congestion associated with colds and flu (Mozian, 2000). This spice can be found in curry powder and it is what gives curry powder its major yellow coloring (Mozian, 2000). However, it is curcumin, the principal active ingredient in turmeric that gives turmeric its anti-inflammatory benefits (Aggarwal et al., 2007; Mozian, 2000). In fact, recently there was an infomercial that touted the benefits of a glucosamine supplement with an herbal mixture. The representative of the product was touting how the synergistic effects are stronger than the individual ingredients on their own. Another interesting aspect was the mentioning of Cox-2 inhibitors and their importance in reducing and/or managing pain symptoms. Well, this is one of the main mechanisms through which curcumin works. Studies have shown that curcumin acts as a strong inhibitor of cyclooxygenase 2 (Cox-2) as well as many other molecules such as lipooxygenase (LOX), leukotrienes, thromboxane and others involved in the inflammatory process (Chainani-Wu, 2003; Menon & Sudheer, 2007). Research has even specifically shown curcumin to enhance recovery through reducing inflammation and assisting in recovery from exercise-induced muscle damage (Davis et al., 2007). Spinach is loaded with Vitamin E, anti-inflammatory compounds, omega-3 fatty acids, including alpha-linolenic acid and it's also high in B-Vitamins (DiNubile, 2005). Spinach also has anti-inflammatory properties of which one study showed it to reduce asthmatic inflammation (Heo et al., 2010). What's even more fascinating is spinach contains naturally-occuring plant-based steroids called phytoecdysteroids (Bakrim et al., 2008; Bathori et al., 2008). Phytoecdysteroids are analogues of arthropod steroid hormones found in plants and are used in defense from predation by non-adapted predators such as insects (Dinan, 2009). In fact, research has looked at phytoecdysteroids as possibly a safer alternative to the treatment of pathological conditions where anabolic steroids are routinely applied (Bathori et al., 2008). Spinach is loaded with Vitamin E, anti-inflammatory compounds, omega-3 fatty acids, including alpha-linolenic acid. 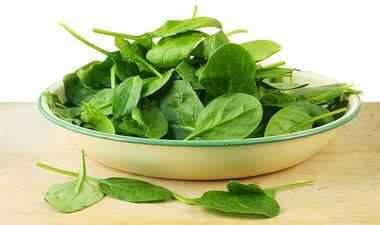 What makes spinach so interesting is the irony that popeye was eating a vegetable that has so many health benefits, yet it is one of the very few crops to produce high amounts of phytoecdysteroids (Bakrim et al., 2008). So essentially, popeye was eating a vegetable that current research is showing and future research may indicate is one of, if not the most strength-building vegetables around! In fact, research has shown that phytoecdysteroids can lead to a 20% increase in protein synthesis and an increase in grip strength (Gorlick-Feldman et al., 2008). This is an often overlooked food that is technically a vegetable! It's a starch vegetable, but a vegetable nonetheless and an easy and sure-fire way to increase one's intake of veggies. I have grown fond of sweet potatoes and they actually can taste quite delicious when prepared in various ways. Sweet potatoes can make great french fries! They can also be great as mashed sweet potatoes, pies, baked sweet potatoes and even sweet potato pancakes, cookies and chips! The key to keeping these commonly perceived unhealthy foods (i.e. french fries, cookies and chips), healthy, is the way they are prepared. However, they will have just about the same taste as their unhealthy counterparts but with more than twice the added goodness of health-bringing nutrients and minerals. For instance, sweet potato chips can be made by simply skinning the sweet potato in chip-sized pieces, drizzling a little extra-virgin olive oil and spreading it out over all the chips on a baking sheet, then adding a dash of sea salt and/or black pepper. If one is salt-sensitive, adding a salt-substitute or a sea vegetable seasoning like kelp or dulse would be great alternatives. Then one would simply bake them until slightly golden brown or they are crisp to touch. I typically turn off the oven when they are slightly soft and just leave the oven off as they will continue to cook at a gradually lower temperature. Then when they are ready, one could enjoy them with a healthy sandwich of choice! In terms of nutritional content, sweet potatoes are incredibly rich in beta-carotene, a precursor used by the body to make vitamin-A. In fact, one cup of sweet potatoes offers a whopping 30 milligrams of beta-carotene (Mozian, 2000). Sweet potatoes are also a good source of alpha-tocopherol, ascorbic acid, anthocyanins and fiber (Bovell-Benjamin, 2007; Mozian, 2000). The biggest anti-inflammatory benefits that come from sweet potatoes are their high amounts of antioxidants, mainly beta-carotene, alpha-tocopherol and ascorbic acid. Studies have begun to show that these particular antioxidants may protect against the development and progression of knee osteoarthritis (McAlindon et al., 1996; Seki et al., 2010). These 10 foods have certainly become staples in my diet. They are very rich in vitality-bringing nutrients along with having specific benefits towards reducing inflammation, thereby expediting recovery. Finally, they are naturally low in calories, rich in nutrients and do not require much time to prepare to eat. Aggarwal et al. (2007). Curcumin: The Indian solid gold, Advances in Experimental Medicine and Biology, 595, 1-75. Altman & Marcussen, (2001). Effects of a ginger extract on knee pain in patients with osteoarthritis, Arthritis and Rheumatism, 44(11), 2531-2538. Anderson et al. (2001). Walnut polyphenolics inhibit in vitro human plasma and LDL oxidation, The Journal of Nutrition, 131(11), 2837-2842. Aparecida et al. (2008). Antioxidant activity, ascorbic acid and total phenol of exotic fruits occurring in Brazil, Internationl Journal of Food Sciences and Nutrition, 10, 1-10. Aprikian et al. (2003). Apple pectin and a polyphenol-rich apple concentrate are more effective together than separately on cecal fermentations and plasma lipids in rats, The Journal of Nutrition, 133(6), 1860-1865. Bakrim et al. (2008). Ecdysteroids in spinach (Spinacia oleracea L.): Biosynthesis, transport and regulation of levels, Plant Physiology and Biochemistry, 46(10), 844-854. Bathori et al. (2008). Phytoecdysteroids and anabolic-androgenic steroids--structure and effects on humans, Current Medicinal Chemistry, 15(1), 75-91. Black et al. (2009). Ginger supplementation attenuates muscle pain and dysfunction following eccentric exercise, Medicine and Science in Sports and Exercise, 41(5), S368. Bovell-Benjamin, A.C. (2007). Sweet potato: A review of its past, present, and future role in human nutrition, Advances in Food and Nutrition Research, 52, 1-59. Boyer & Liu (2004). Apple phytochemicals and their health benefits, Nutrition Journal, 3, 5. Cassileth, B. (2010). Lycopene, Oncology, 24(3), 296. Chainani-Wu, N. (2003). Safety and anti-inflammatory activity of curcumin: A component of tumeric (Curcuma longa), Journal of Alternative and Complementary Medicine, 9(1), 161-168. Davis et al. (2007). Curcumin effects on inflammation and performance recovery following eccentric-induced muscle damage, American Journal of Physiology: Regulatory, integrative and comparative physiology, 292(6), R2168-2173. Davis et al. (2010). The dietary flavonoid quercetin increases VO(2max) and endurance capacity, International Journal of Sports Nutrition and Exercise Metabolism, 20(1), 56-62. Dinan L. (2009). The Karlson Lecture. Phytoecdysteroids: what use are they? Archives of Insect Biochemistry and Physiology, 72(3), 126-141. DiNubile, N. (2005). FrameWork: Your 7-step program for healthy muscles, bones and joints. Rodale Inc., United States. Ernst & Pittler (2000). Efficacy of ginger for nausea and vomiting: A systematic review of randomized clinical trials, British Journal of Anaesthesia, 84(3), 367-371. Fitzhugh et al. (2008). Bromelain treatment decreases neutrophil migration to sites of inflammation, Clinical Immunology, 128(1), 66-74. Gordon et al. (2009). Quercetin effects on performance recovery following eccentric exercise-induced muscle damage, Medicine and Science in Sports and Exercise, 41(5), S185. Gorlick-Feldman et al. (2008). Phytoecdysteroids increase protein synthesis in skeletal muscle cells, Journal of Agricultural and Food Chemistry, 56(10), 3532-3537. Grzanna et al. (2005). Ginger--an herbal medicinal products with broad anti-inflammatory actions, Journal of Medicinal Food, 8(2), 125-132. Hanamura et al. (2006). Antihyperglycemic effect of polyphenols from Acerola (Malpighia emarginata DC.) fruit, Bioscience, Biotechnology and Biochemistry, 70(8), 1813-1820. Heo et al. (2010). Amelioration of asthmatic inflammation by an aqueous extract of Spinacia oleracea Linn, International Journal of Molecular Medicine, 25(3), 409-414. Herring et al. (2009). Steamed ginger supplementation reduces pain following eccentric exercise-induced injury, Medicine and Science in Sports and Exercise, 41(5), S368. Jedrychowski & Maugeri (2009). An apple a day may hold colorectal cancer at bay: Recent evidence from a case-control study, Reviews on Environmental Health, 24(1), 59-74. Jedrychowski et al. (2010). Case-control study on beneficial effect of regular consumption of apples on colorectal cancer risk in a population with relatively low intake of fruits and vegetables, European Journal of Cancer Prevention, 19(1), 42-47. Jung et al. (2009). Influence of apple polyphenols on inflammatory gene expression, Molecular Nutrition and Food Research, 53(10), 1263-1280. Kim et al. (2005). -Gingerol, a pungent ingredient of ginger, inhibits angiogenesis in vitro and in vivo, Biochemical and Biophysical Research Communications, 335(2), 300-308. Klein & Kullich (1999). Reducing pain by oral enzyme therapy in rheumatic diseases, Wiener Medizinische Wochenschrift, 149(21-22), 577-580. Liu, R.H. (2003). Health benefits of fruit and vegetables are from additive and synergistic combinations of phytochemicals, American Journal of Clinical Nutrition, 78(Suppl 3), 517S-520S. Liu, R.H. (2004). Potential synergy of phytochemicals in cancer prevention: Mechanism of action, The Journal of Nutrition, 134(Suppl 12), 3479S-3485S. McAlindon et al. (1996). Do antioxidant micronutrients protect against the development and progression of knee osteoarthritis? Arthritis Rheumatism, 39(4), 648-656. Menon & Sudheer (2007). Antioxidant and anti-inflammatory properties of curcumin, Advances in Experimental Medicine and Biology, 595, 105-125. Mozian, L.D. (2000). Foods that fight disease: A simple guide to using and understanding phytonutrients to protect and enhance your health. Avery: Penguin Putnam, Inc., New York, NY. Naghii & Samman (1993). The role of boron in nutrition and metabolism, Progress in Food and Nutrition Science, 17(4), 331-349. Naghii, M.R. (1999). The significance of dietary boron, with particular reference to athletes, Nutrition and Health, 13(1), 31-37. Nakazato et al. (2010). Dietary apple polyphenols have preventive effects against lengthening contraction-induced muscle injuries, Molecular Nutrition & Food Research, 54(3), 364-372. Nakhostin et al. (2008). Effect of vitamin C supplementation on lipid peroxidation, muscle damage and inflammation after 30-min exercise at 75% VO2max, The Journal of Sports Medicine and Physical Fitness, 48(2), 217-224. Newnham, R.E. (1994). Essentiality of boron for healthy bones and joints, Environmental Health Perspectives, 102(Suppl 7), 83-85. Nielsen, F.H. (1998). The justification for providing dietary guidance for the nutritional intake of boron, Biological Trace Element Research, 66(1-3), 319-330. Nielsen, F.H. (2009). Is boron nutritionally relevant? Nutrition Reviews, 66(4), 183-191. Osato et al. (1993). Antimicrobial and antioxidant activities of unripe papaya, Life Sciences, 53(17), 1383-1389. Papoutsi et al. (2008). Walnut extract (Juglans regia L.) and its component ellagic acid exhibit anti-inflammatory activity in human aorta endothelial cells and osteoblastic activity in the cell line KS483, The British Journal of Nutrition, 99(4), 715-722. Pinto et al. (2009). Evaluation of antihyperglycemia and antihypertension potential of native Peruvian fruits using in vitro models, Journal of Medicinal Food, 12(2), 278-291. Rajaram et al. (2010). Effect of almond-enriched high-monounsaturated fat diet on selected markers of inflammation: A randomised, controlled, crossover study, The British Journal of Nutrition, 103(6), 907-912. Rakhimov, M.R. (2001). Anti-inflammatory activity of domestic papain, Eksperimental'naia i Klincheskaia Farmakologiia, 64(4), 48-49. Ros, E. (2009). Nuts and novel biomarkers of cardiovascular disease, The American Journal of Clinical Nutrition, 89(5), 1649S-1656S. Ros & Mataix (2006). Fatty acid composition of nuts--Implications for cardiovascular health, The British Journal of Nutrition, Suppl 2 (S29-S35). Salas-Salvado et al. (2008). The effect of nuts on inflammation, Asia Pacific Journal of Clinical Nutrition, Suppl 1 (333-336). Seki et al. (2010). Association of serum carotenoids, retinol, and tocopherols with radiographic knee osteoarthritis: Possible risk factors in rural Japanese inhabitants, Journal of Orthopaedic Science, 15(4), 477-484. Shukla & Singh (2007). Cancer preventive properties of ginger: A brief review, Food and Chemical Toxicology, 45(5), 683-690. Surh et al. (1999). Anti-tumor-promoting activities of selected pungent phenolic substances present in ginger, Journal of Environmental Pathology, Toxicology and Oncology, 18(2), 131-139. Surh, Y.J. (2002). Anti-tumor promoting potential of selected spice ingredients with antioxidative and anti-inflammatory activities: A short review, Food and Chemical Toxicology, 40(8), 1091-1097. Walker et al. (2002). Bromelain reduces mild acute knee pain and improves well-being in a dose-dependent fashion in an open study of otherwise healthy adults, Phyomedicine, 9(8), 681-686. Wolfe et al. (2003). Antioxidant activity of apple peels, Journal of Agricultural and Food Chemistry, 51(3), 609-614.